I love spring for all the possibilities and the new life it brings. In spite of all these weird weather patterns we’re having in SoCal (unprecedented early Santa Anas = fire hazards), spring has sprung. Because it has been warmer earlier than before, we were able to plant our summer vegetable garden in early May vs. end of the month. The picture above was taken on May 3. 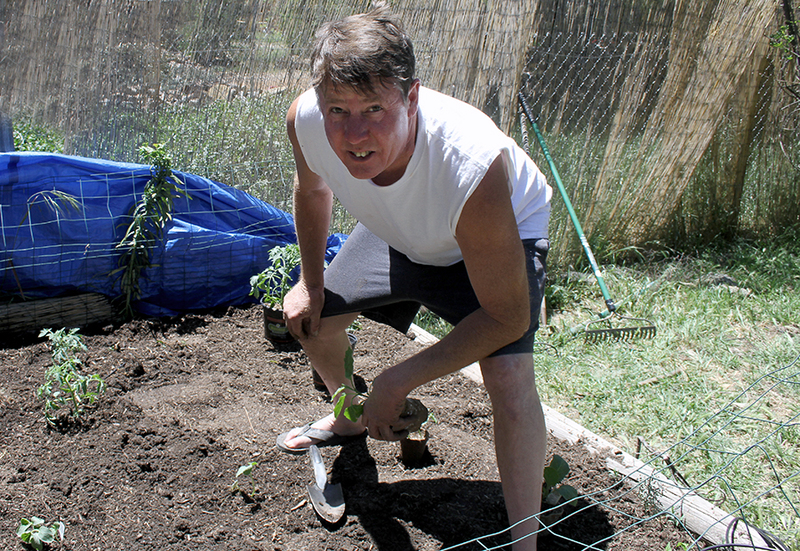 Steve planting his annual vegetables. Today we spent starting clearing the brush from a fallen tree from the Santa Anas. Steve is tending his garden every day. Overall, a great day back in the biggest part of our house: our yard. To come: tomatoes, herbs, zucchini, yellow crook neck squash, eggplant, various bell peppers, corn and Swiss chard. I’m looking for ideas on how to creatively upgrade a 12-foot dead tree trunk, and luckily, there are many talented people out there who have done just that. 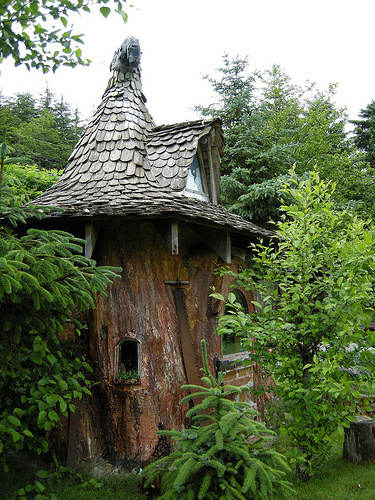 I have a small fairy garden already (thank you Julie Howard Salmons for turning me on to that), so I like the idea of carrying that theme to the trunk of this old, great tree. Here’s an image I found on Pinterest as a start. If you have any ideas, photos, suggestions, I’m listening.